IT has been dubbed the ‘World’s Most Beautiful Race’ – and today the organisers of the 2012 Ballyliffin Coastal Challenge announced details of this year’s event. 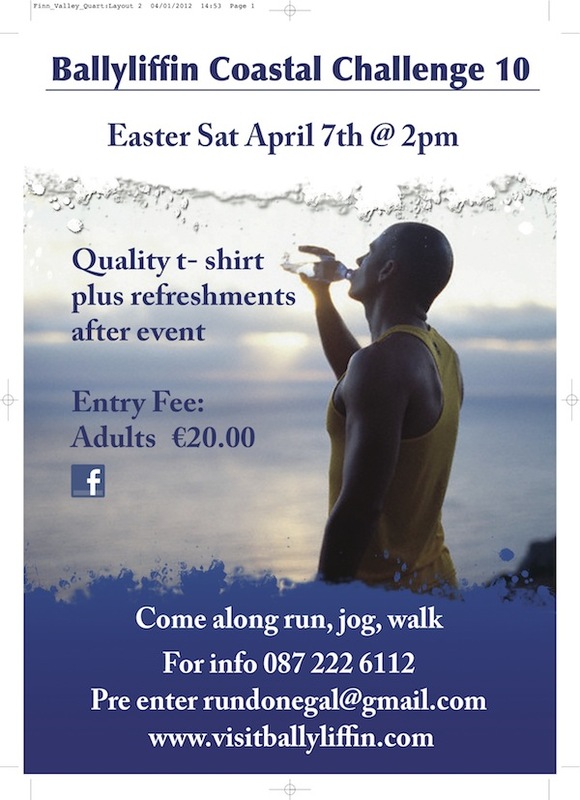 The 10 mile international event which has developed in the two years since the opening attempt in 2010 attracting close to 500 and is confident of increased participants this Easter Saturday April 7th 2pm. A community event which also willl once again have an interested international dimension with a group already signed up. The project being driven by the local Development Assoc. who in addition to rolling out an opportunity for local people hopes to build the atmosphere for participants, in an area renowned for its beautiful scenery, world class golf courses, hill walking, surfing, excellent hotels offering special deals for the period – the complete package for interests over the normally quiet Easter weekend. An added dimension this time round will be a 100m beach run for primary school children – certificates for all and a few Easter eggs. Sunday morning offers a number of led walks from the village . All in all a weekend of activity. Held against the backdrop of the Isle Of Doagh, Lagg, Malin and the local iconic landmark that is Glashedy finishing on Pollan Beach. Full dertails on www.visitballyliffin.com on which you will find entry form leaving it in with staff at ballyliffin P O, queries if neccessary at ballyliffincoastalchallenge@gmail.com or help spread the word by logging on to facebook. 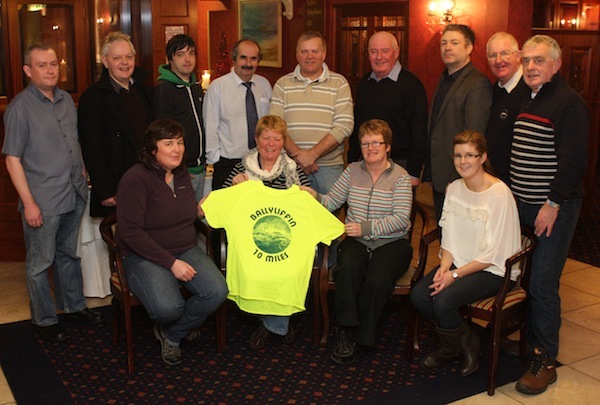 The race route can be viewed on youtube as can a promo video done for 2011 which gives a flavour – with others on donegaldaily’s Youtube channel. The race which is slowly building a national /international reputation can in 2012 be the best ever, said Patsy. This year’s event also extends an invitation to all voluntary organisations in the Inishowen area and Donegal to use the Coastal challenge as a conduit for raising finance for their club, association etc requiring members getting out there seeking sponsorship which their group then retain.